Transmissions from the Fregat upper stage show that the door on the CubeSat deployer opened regularly, around 2 hours and 48 minutes after launch. Now the CubeSats are travelling in their final orbits, and their university teams are waiting for them to establish contact. In the first hour of flight, the CubeSats will be working autonomously in order to stabilise their motion, perform an internal health check, and deploy their antennae. Then they will establish communication with Earth. For the teams who programmed the satellites to do this, it is the most difficult time. There is nothing they can do except trust their satellites, just like parents waiting at the gate to see how their children managed on their first day of school. "During testing, if something went wrong we could fix it. 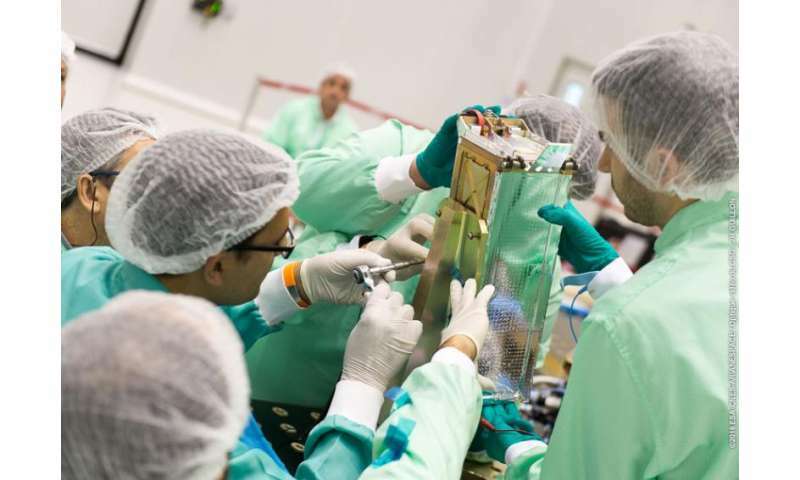 Now, like in all space missions, we have to count on the work done so far on the ground," says Piero Galeone, Head of Tertiary Education at ESA and Fly Your Satellite! programme manager. According to Galeone, the painstaking preparations to make sure that something doesn't go wrong have been a key lesson for the students. During the test phase, they were taught not to hurry. He says, "Just take the time you need to perform the action" was one of the key lessons for the students. 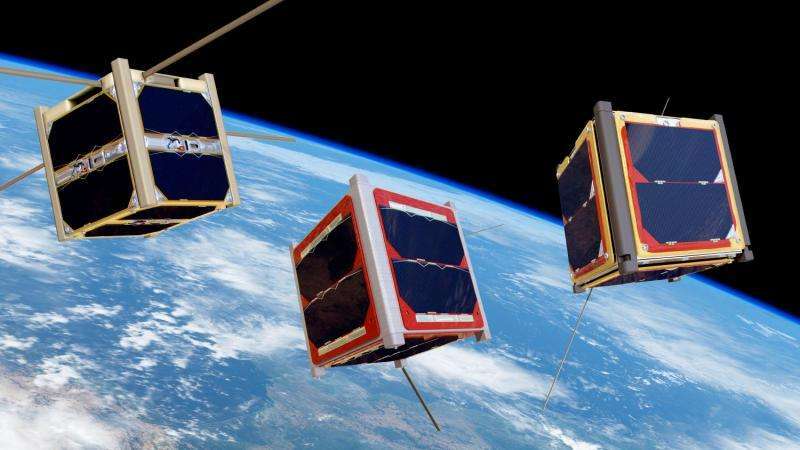 The CubeSats, which each measure just 10x10x11cm, hitched a ride on Soyuz flight VS14, piggybacking on the launch of the rocket's other passengers: ESA's Sentinel-1B, the primary payload, and CNES's Microscope satellite. 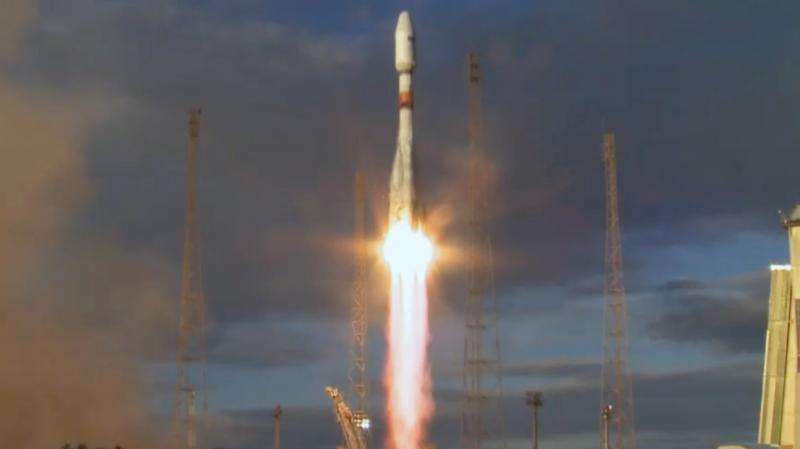 The launch took place on 25 April at 23:02:13 CEST (21:02:13 GMT). Everything went according to plan, and Sentinel-1B was placed into its orbit 23 minutes and 35 seconds after launch. Microscope is still attached to the Fregat upper stage engine and won't be released until 03:02 CEST (01:02 GMT)]. The CubeSats are positioned in an elliptical Low Earth Orbit (LEO), swinging from about 665 km to 453 km and back again. The final orbital parameters will be confirmed in the next few hours. Their orbit is very inclined over the equator, taking them over the poles of the planet. This orbit puts them periodically in good view of ground stations. From this orbit they will re-enter Earth's atmosphere in approximately 8 years, preventing they become space junk after their missions are over. But right now it is time for the little CubeSats to show us what they are made of. 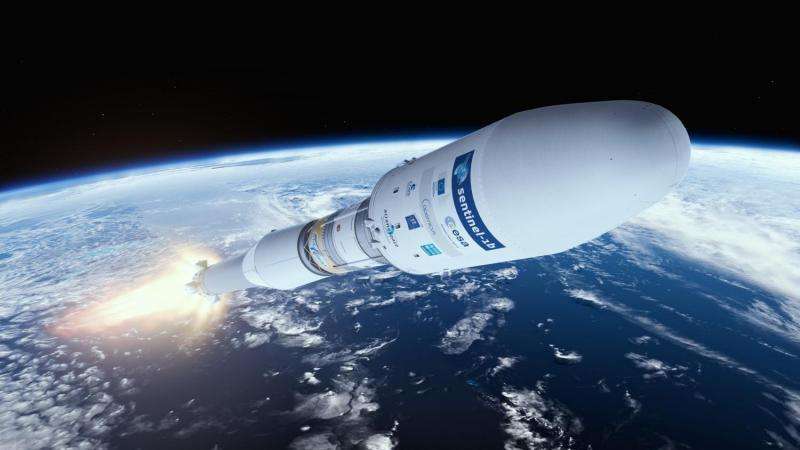 Two of the three satellites (the Italian e-sta@r-II and the Belgian OUFTI-1) are expected to begin transmitting not earlier than 30 minutes after deployment to orbit. AAUSAT4 will begin almost one hour later. After Oufti-1 and e-st@r-II start transmitting their orbits, however, will cross the Americas before drifting within sight of the European ground stations. From the moment the CubeSats begin transmitting, they will be visible to radio amateurs from all over the world. ESA's Education Office challenged the amateur radio community to listen out for the tiny satellites; read more about this here. All three Fly Your Satellite! CubeSat teams are now watching closely to receive the first signal acquisitions from their small satellites. Many of them will not sleep at all tonight. Once the signals are acquired, the missions can begin. OUFTI-1, University of Liege, Belgium, will test a new communications subsystem; e-st@r-II, Polytechnic of Turin, Italy, will demonstrate an attitude determination system that uses measurements of the Earth's magnetic field; and AAUSAT4, University of Aalborg, Denmark, will operate an Automated Identification System (AIS) receiver in order to identify and track the position of ships transiting away from coastal areas. In addition to these valuable contributions, the students who participated in the Fly Your Satellite! programme now have real world experience of working on a space mission. Having started to operate their mission in orbit, they have just entered the final phase of an exciting educational journey that began more than 3 years ago. This is one of the key objectives of ESA's Education Office: to equip the next generation of scientists and engineers with the skills required to keep Europe at the forefront of space exploration, utilisation, and research.